Supporters of the Equal Rights Amendment marching in 1977. Momentum around the cause has reemerged in recent years. Donna Grunski remembers standing in the snow, holding a candle. It was 1979 or 80. She can’t remember exactly. She and other members of the League of Women Voters were asking lawmakers in Virginia to ratify the Equal Rights Amendment. But now, almost four decades later, momentum around the cause has reemerged - giving activists like Grunski hope that this could be the year. If lawmakers decided to support the effort Virginia could be the 38th, and final, state to ratify the Equal Rights Amendment. The amendment to the U.S. constitution guarantees rights based on gender. Back in 1972 when the amendment first passed Congress, a majority of states jumped on board - ratifying almost immediately. But many in the south held out. Grunski says there was a real fear of cultural change. “If you’re somebody of power and privilege you see equality -- whatever kind of equality -- as being oppressive to you. You’re threatened,” she says. It will have been 41 years this upcoming General Assembly. Grunski, and others, are ready. This year several groups have mobilized, organizing a lobbying effort and educational bus tour. They’re energized because two states - Nevada and Illinois - recently ratified. That means only a single state more is needed to get the necessary two-thirds approval. Democratic Delegate Jennifer Carroll Foy says Virginia should be the one to take the ERA over the finish line. There are a couple barriers to doing that though. First, lawmakers imposed a deadline that’s since passed. Supporters, though, say Congress could lift it. And that they would have the motivation if the ERA gets the state support it needs. 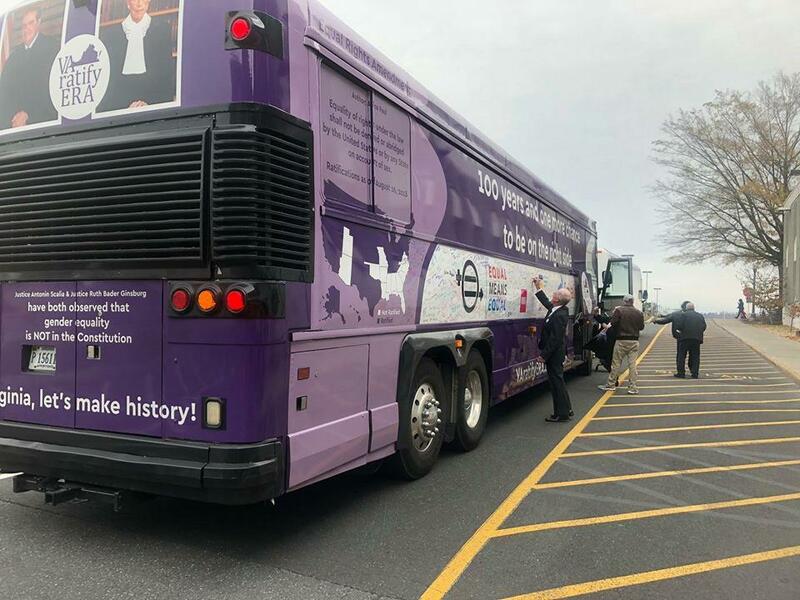 Climb aboard the ratify bus and organizer Kati Hornung says the second challenge is getting Virginia’s Republican leadership on board. Hornung recently met with Virginia’s Republican Speaker of the House who told her there wasn’t much support for the ERA in his caucus. A spokesperson for the Speaker says there are serious legal questions and that the bill will have to go through the legislative process like any other. Hornung knows it might be an uphill climb, but she believes it’s a bipartisan issue. For those who have been working on this issue for decades the challenges now are far less daunting than they used to be. Donna Grunski sees the fresh energy and is optimistic. “I want my daughter, my daughter in law, and my two granddaughters to know that they are part of the United States Constitution before I die. I want to see this happen,” she says. Activists are pushing for Virginia’s lawmakers to ratify the Equal Rights Amendment this year, potentially changing the United States Constitution. To help raise awareness, a group is driving around the state. 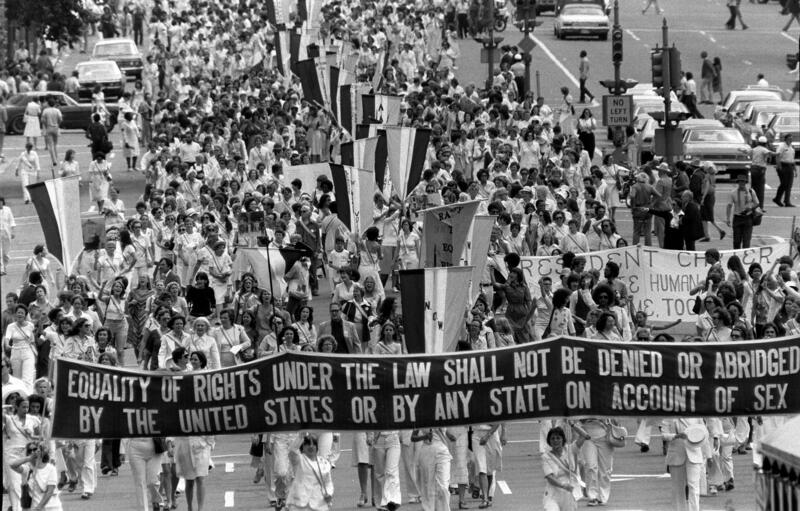 It’s been 46 years since Congress sent the Equal Rights Amendment to the states for ratification. Now, all these years later, Virginia may end up playing a key role in finally adopting the ERA.